Marion Hall donated two parcels of property in 1994 as a memorial to her late husband, George. 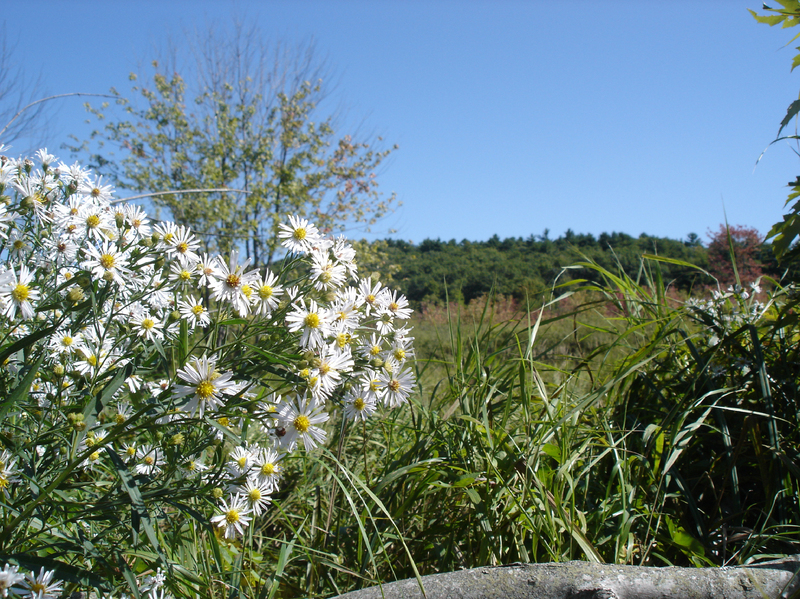 One parcel, Eastman Meadow, is on the east shore of the Georges River north of Sennebec Pond, and the other, Newbert Meadow, is on the east shore of Sennebec Pond at the mouth of Allen Brook. Together, they total 15 acres with 950 feet of waterfront. 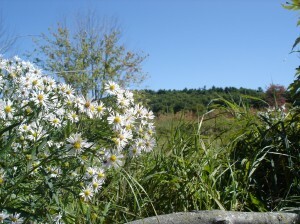 Eastman Meadow contains a silver maple floodplain forest, unusual for this part of the coast. A bluejoint meadow community occupies most of the area on this parcel. This community type is considered rare in Maine and this example is unique due to the presence of sweetflag as a co-dominant with bluejoint. Newbert Meadow is of special interest due to the wildlife it harbors: beaver and loons. The protected stream bank of the brook and the shallow reed beds at the mouth of the stream, make it an ideal location for loons to nest. 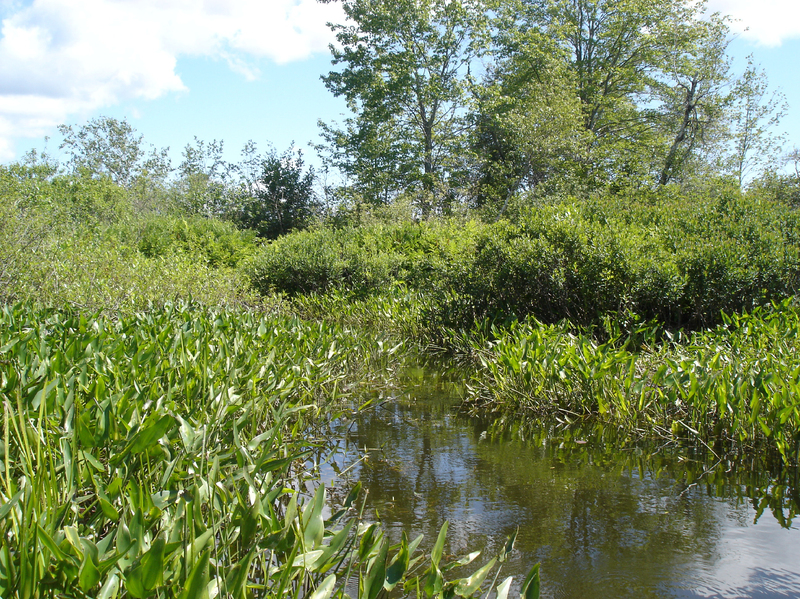 In this basin wetland, buttonbush and red osier dogwood flourish as well as ferns and aquatic species. Red oak, maple, aspen, and birch grow in the upland portion with hazelnut growing in the shrub layer and herbs near the edge of the woodland. Public use of the properties is discouraged at this time. 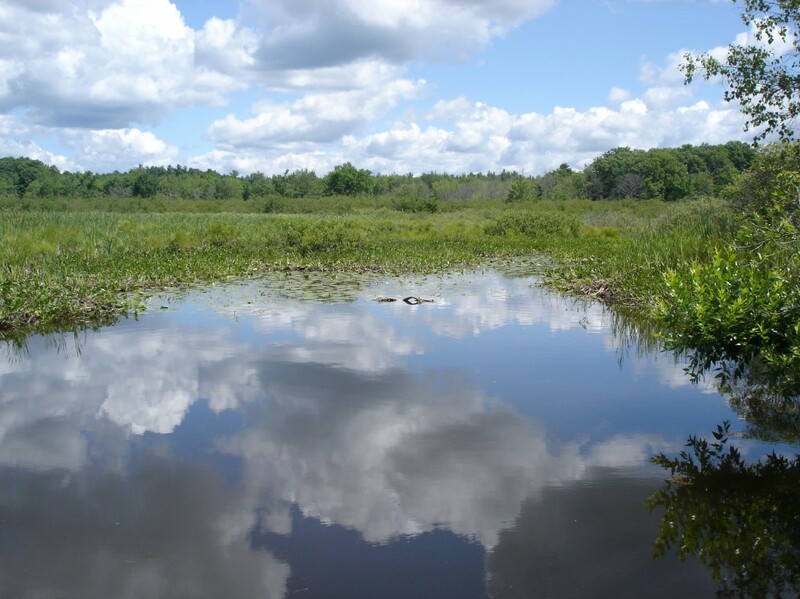 Both parcels of the Hall Preserve are predominantly wetland and are only accessible by boat from Sennebec Pond.